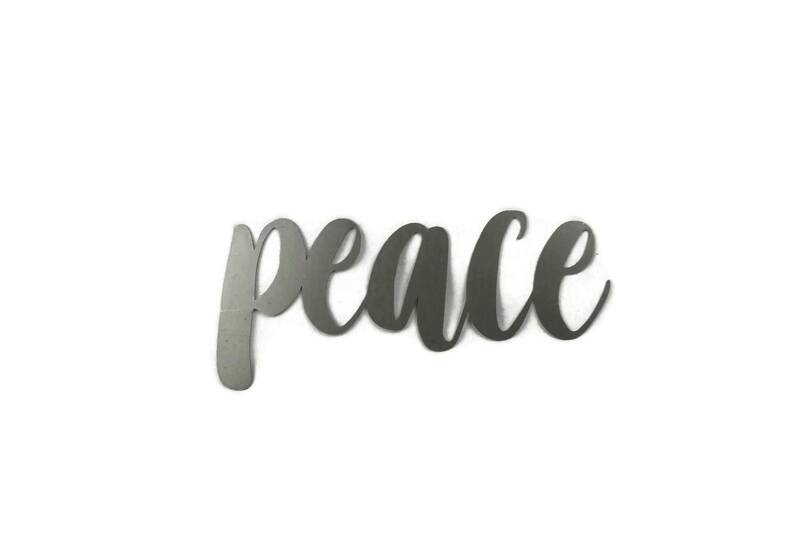 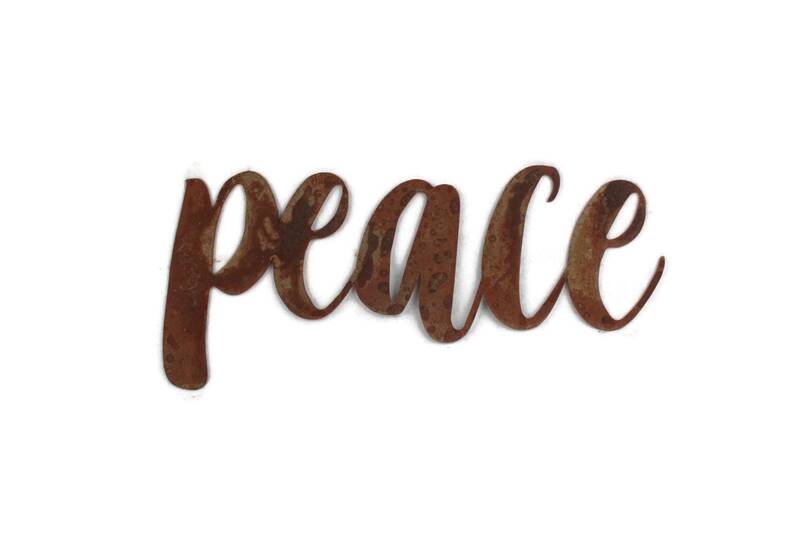 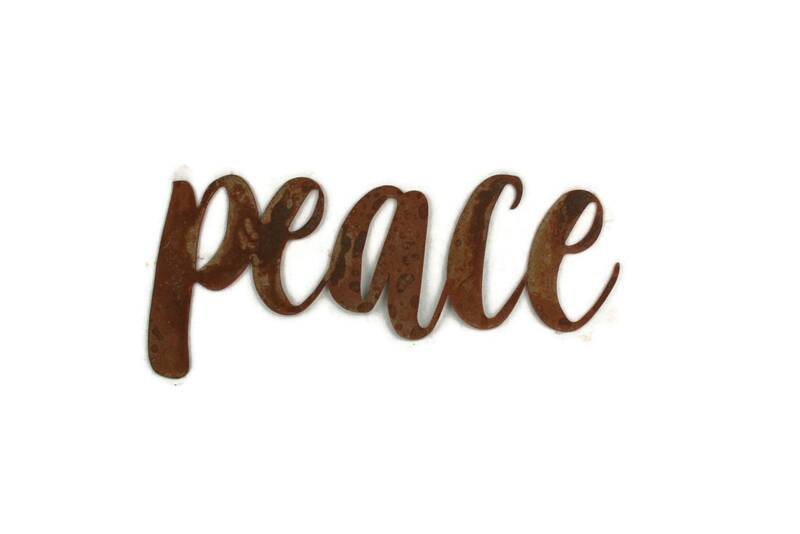 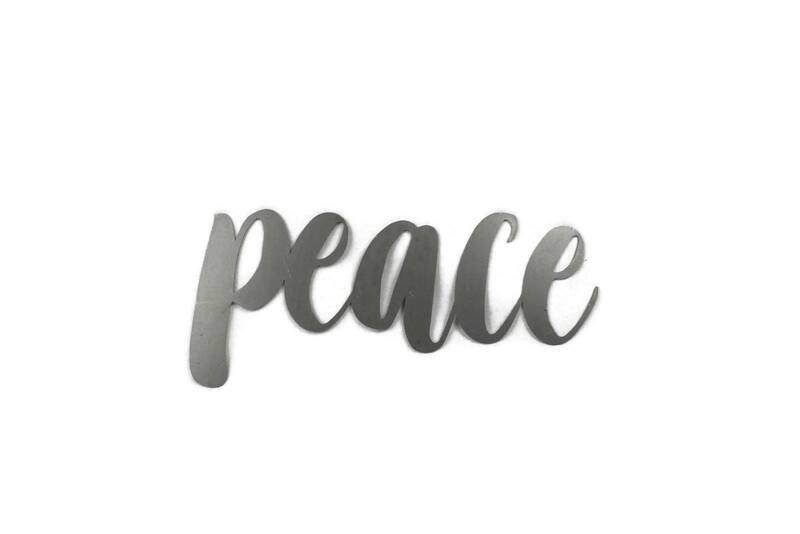 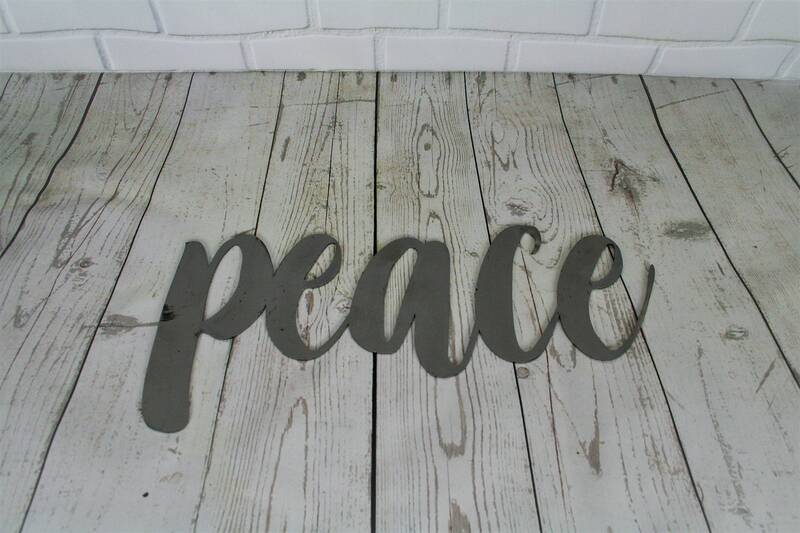 peace raw steel script sign. 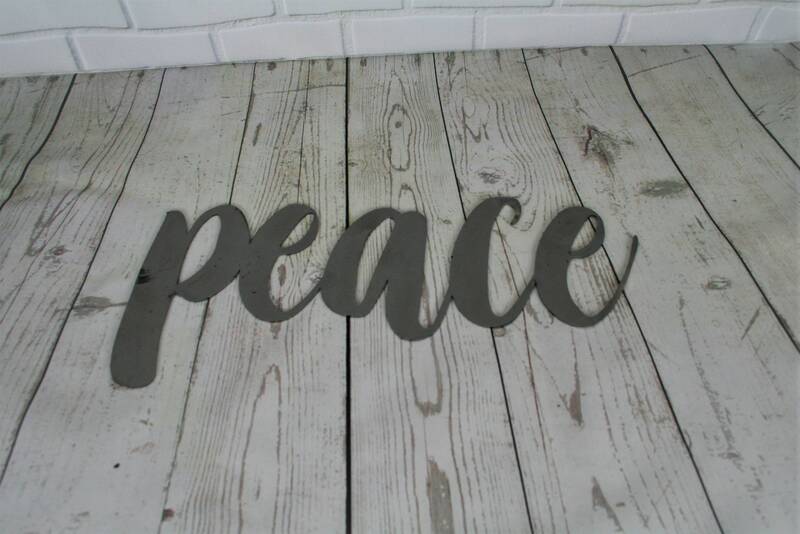 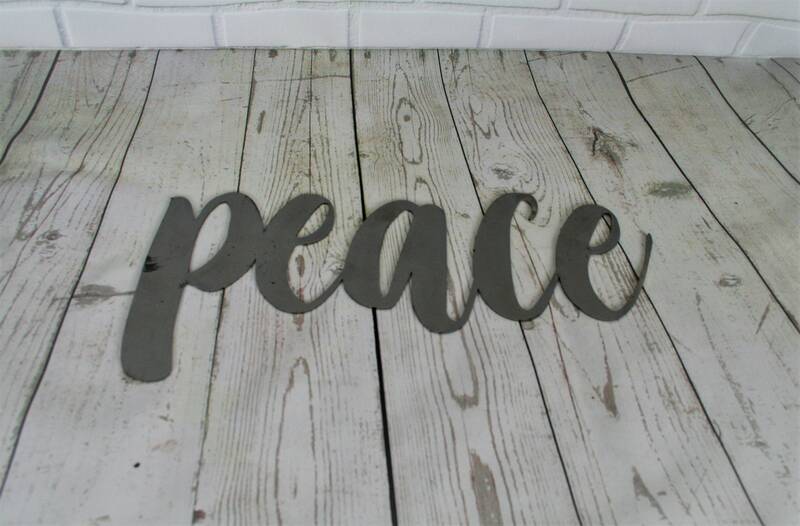 Script peace raw steel sign is is ready to paint. 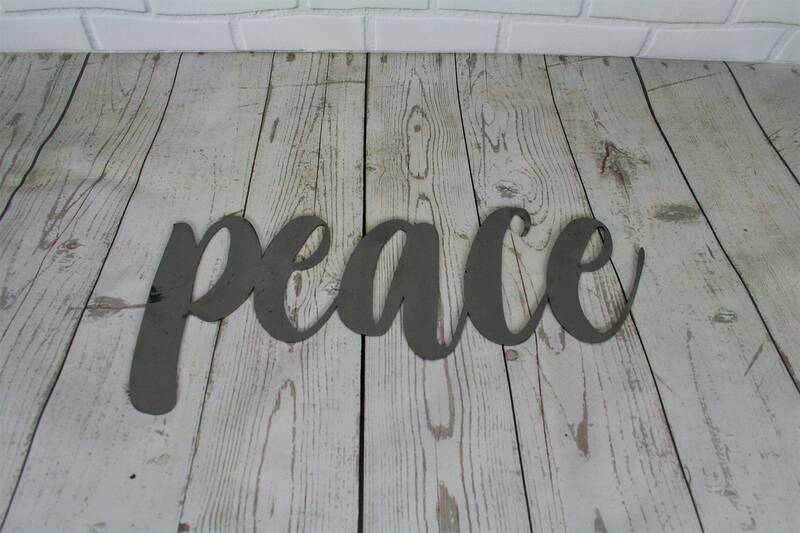 Great for your reading nook, yoga studio or the living room! 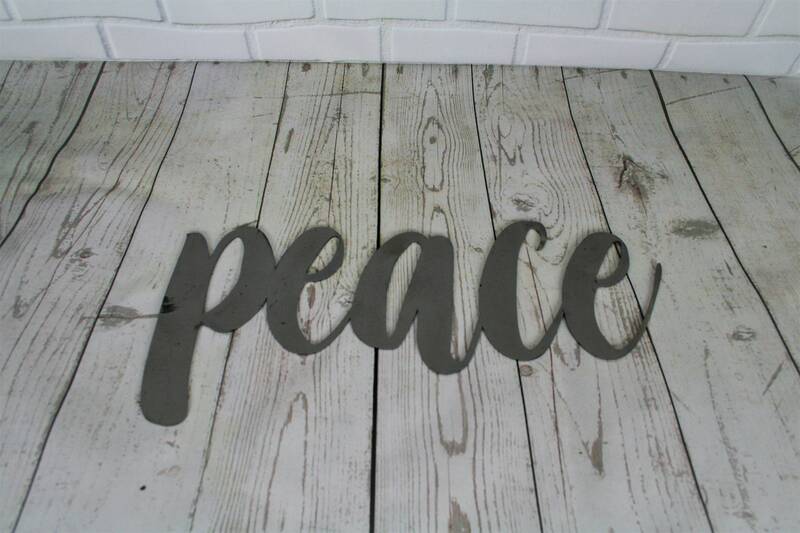 8.5x19" in size. 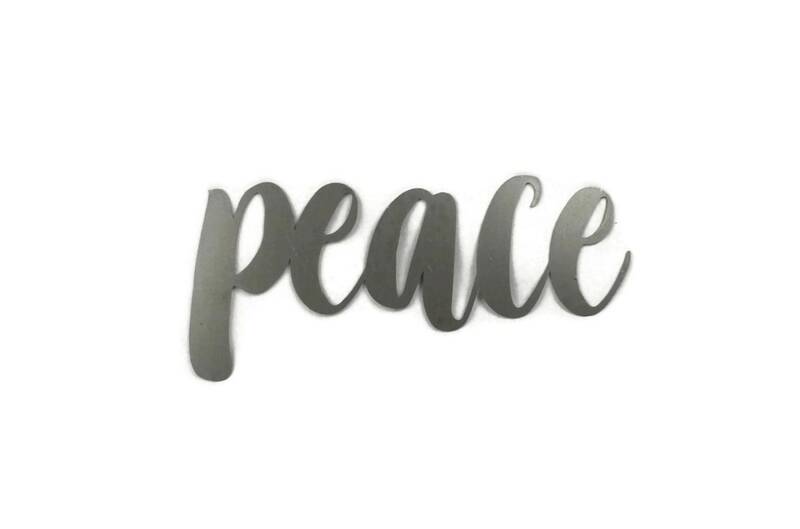 This metal script word art is cut from steel about as thick as a nickel.